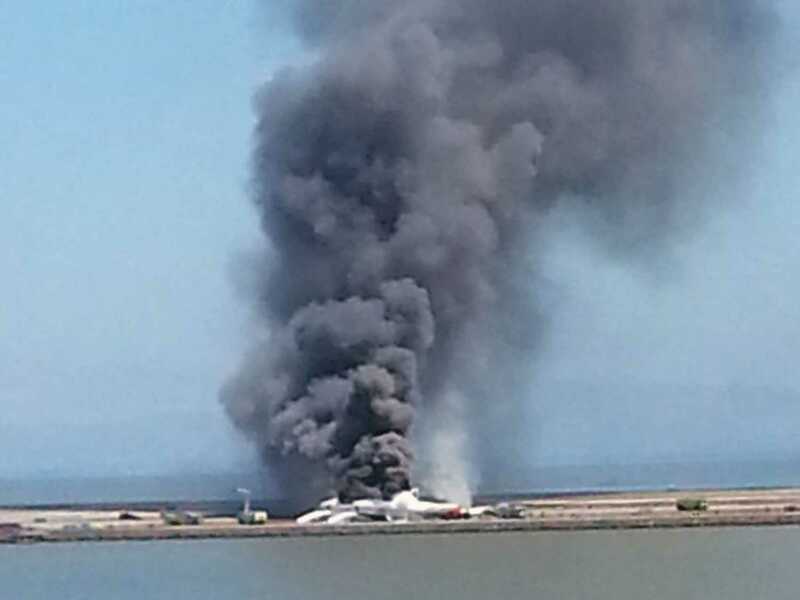 The Asiana Airlines Boeing 777 that crashed at San Francisco’s international airport was flying 25 percent below its intended air speed before slamming into the ground, U.S. safety officials said on Monday as attention increasingly focused on the actions of the pilots. All four pilots were being interviewed on Monday by investigators from the National Transportation Safety Board and other agencies, NTSB chairwoman Deborah Hersman said at a news conference in San Francisco. Saturday’s crash killed two teenage Chinese passengers and injured more than 180 other people. The pilot at the controls, Lee Kang-kuk, was still training on Boeing 777 jets, the South Korean airline said, and his supervisor was making his first flight as a trainer. Lee had 43 hours of experience flying the long-range jet, Asiana said. It was not clear whether the senior pilot, Lee Jung-min, who had clocked 3,220 hours on a Boeing 777, had tried to take over to abort the landing. “It’s a training that is common in the global aviation industry. All responsibilities lie with the instructor captain,” Yoon Young-doo, the president and CEO of the airline, said at a news conference on Monday at the company headquarters. The NTSB had said on Sunday the plane was “significantly below” its intended air speed and its crew tried to abort the landing less than two seconds before it hit a seawall in front of the runway. On Monday, Hersman offered fresh details, saying the plane was traveling at just 119 miles per hour immediately prior to the accident – far below the target speed of 158. Planes can stall at slow speeds, and Hersman had said on Sunday a stall warning had sounded four seconds before the crash. Hersman has declined to speculate on the cause of the crash. Lee, the pilot at the controls, was making his first attempt to land a 777 at San Francisco’s airport, although he had flown there 29 times previously on other types of aircraft, said South Korean Transport Ministry official Choi Seung-youn. The ministry said Lee, who is in his mid-40s, had almost 10,000 flying hours. Hersman also confirmed on Monday that the tail of the plane had hit the seawall in front of the runway, and part of the tail and other debris had landed in the water. Bits of the seawall were found far down the runway, Hersman added. Hersman said her team was investigating all aspects of the crash and the rescue efforts. But she referred to the local coroner’s office any questions on whether one of the two girls killed in the accident had been run over by a fire vehicle. Hersman said the cause of death had not yet been determined. The flight recorders corroborated witness accounts and an amateur video indicating the plane came in too low, lifted its nose in an attempt to gain altitude, and then bounced violently along the tarmac after the rear of the aircraft clipped a seawall at the approach to the runway. 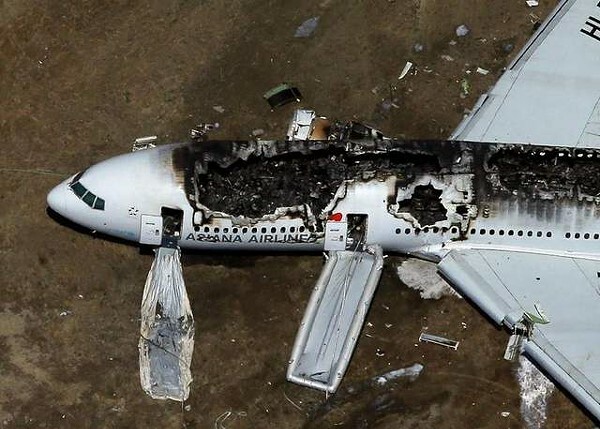 The charred aircraft remained on the airport tarmac on Monday as investigators collected evidence even as flight operations gradually returned to normal. This entry was posted in World News and tagged Airlines, Airplane, Pilot, Rhea Bea, San Francisco, Smoooth Dee. Bookmark the permalink.